 Mouse anti Human p15 antibody, clone DCS-114.1 recognises human p15-Ink4b, also known as Cyclin-dependent kinase 4 inhibitor B or Multiple tumor suppressor 2. p15-Ink4b is a 138 amino acid, ~15 kDa cytoplasmic tumor suppressor protein which inhibits the cyclin D dependent kinases cdk4/6. Full length recombinant p15 His tagged. 1 N.B. Clone DCS114.1 co-precipitates cdk4/cdk6. Yoon, G. et al. (2002) Iron chelation-induced senescence-like growth arrest in hepatocyte cell lines: association of transforming growth factor beta1 (TGF-beta1)-mediated p27Kip1 expression. Biochem J. 366 (Pt 2): 613-21.